Squirrels are known for being notorious bird food eaters. 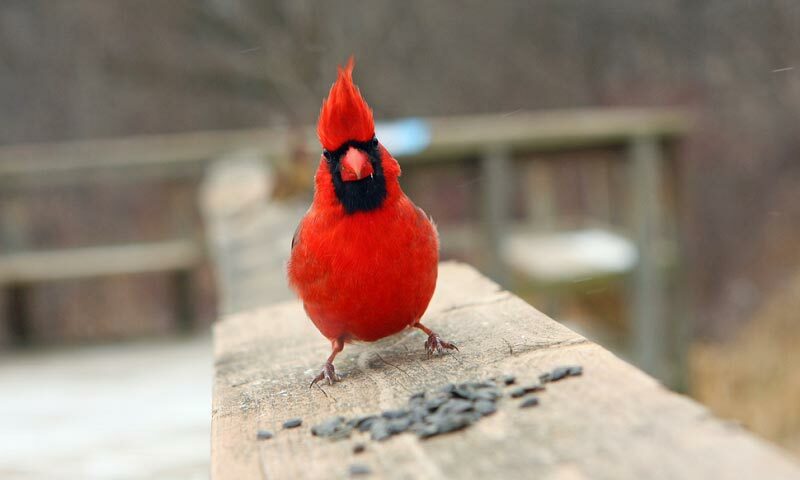 They love bird foods, which is the reason why you can see them going to extreme lengths to get a hold of these foods. Squirrels are also persistent and smart and they easily learn from their experiences. In addition, they are truly agile. 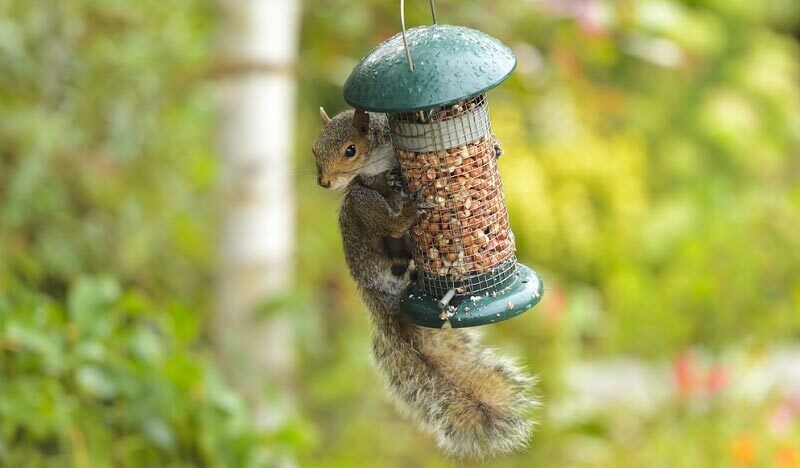 Because of that, you really have to know how to stop squirrels from eating bird food if you are serving them to your birds or you have a bird feeder designed to attract birds. 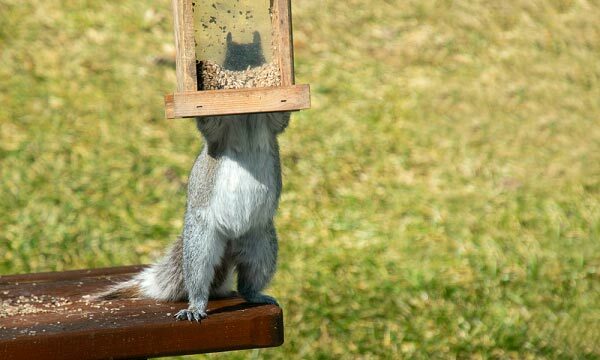 Fortunately, you can find simple solutions to stopping these squirrels from eating the foods that are supposed to be given to the birds. Keep in mind that squirrels are capable of jumping distances up to ten feet or even higher. 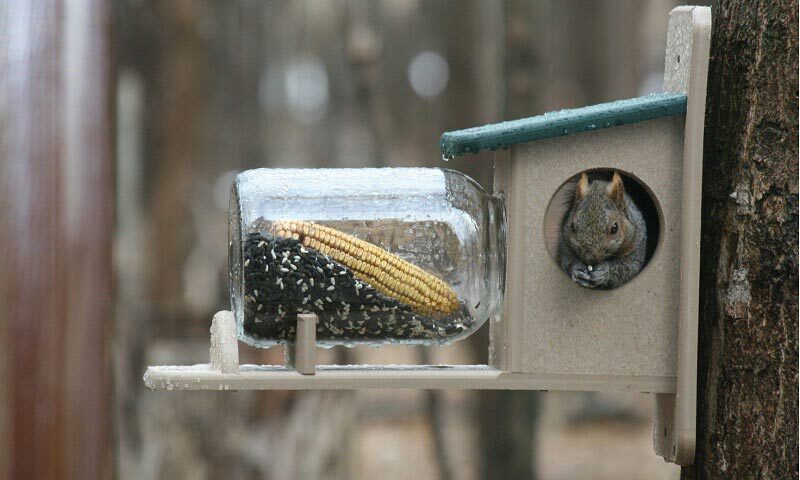 With that in mind, it is advisable to look for the perfect location for your bird feeder. If possible, put it far from wires, trees, roofs, gutters, porches, and any other location that might launch or invite squirrels. Your goal is to prevent squirrels from getting into the feeder. The best thing that you can do is to hang or mount the feeder into a smooth pole made of metal, which is 6 feet high as a minimum. Prune any bushes or branches within a radius of 12 feet. 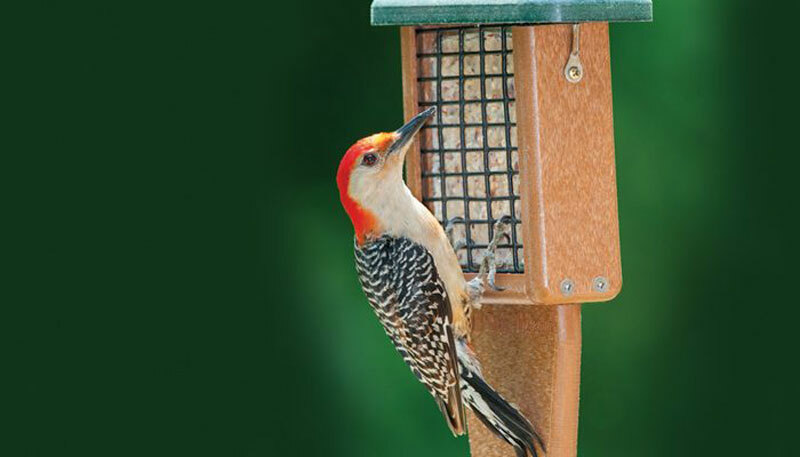 Baffles can be defined as slippery bowl-shaped shields made of either plastic or metal, which helps in preventing squirrels from getting access to the bird feeder. You can install the baffles beneath the feeder if you put it on a post or over if you hang it on a chain or wire. What is good about these baffles is that they can prevent raccoons or squirrels from climbing into the bird feeder. You can place or hung it into a post or pole. Pole baffles are among the easiest to install. In this case, it is possible for you to choose from Shepherd’s staff or straight pole but ensure that this pole is tall enough. The pole also needs to be placed ten feet from fences, trees, or any other structures where squirrels can easily jump to. The baffle should also be mounted five feet high into the pole. Ensure that you hang the feeder over the topmost part of the baffle. In case you wish to hang the baffle, take note that you can do that by stringing one wire in between a couple of trees. You should then put the baffle in the middle, which is around 10 feet away from each tree. The next thing to do is to hang your bird feeder beneath the baffle. The bottom part of the bird feeder should be over five feet. In this case, baffles made of metal tend to be very effective. 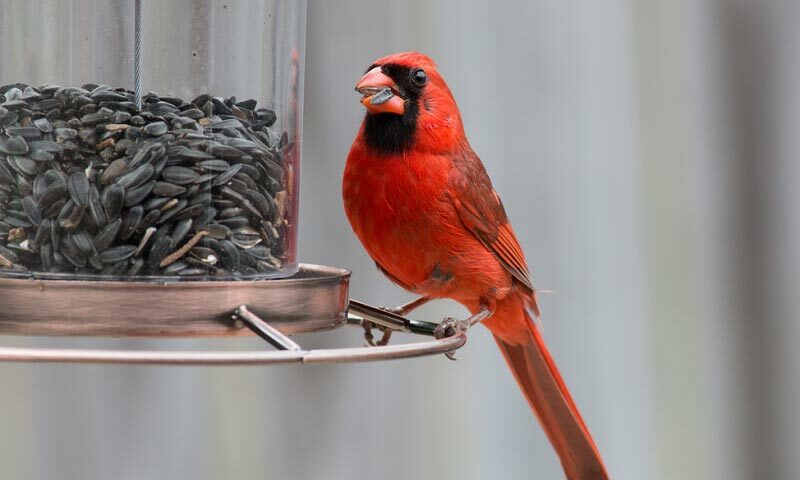 Another tip is to install a wire cage in the places surrounding your bird feeder. Note that you can’t expect squirrels to fit through tiny wire openings. The good news is that even with that small openings, you can still expect small birds to get through. These openings will not restrict the birds from eating the foods you offer to them. 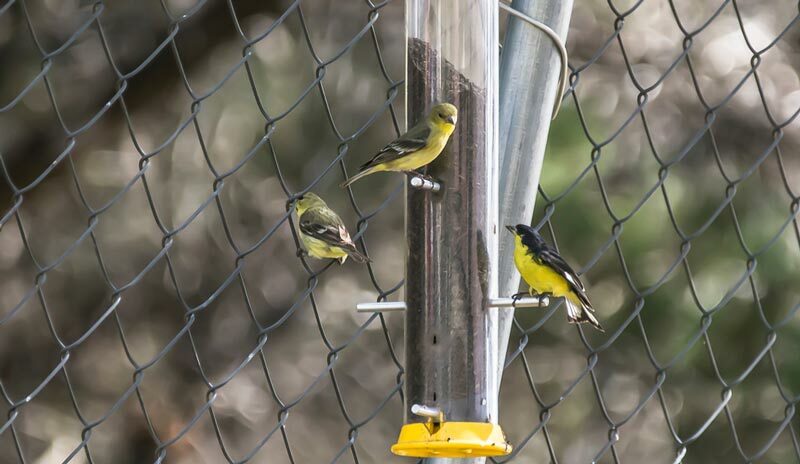 Another great advantage of installing a wire cage is that it can prevent large bully birds, like pigeons, grackles, and starlings from gaining access to your bird feeder. 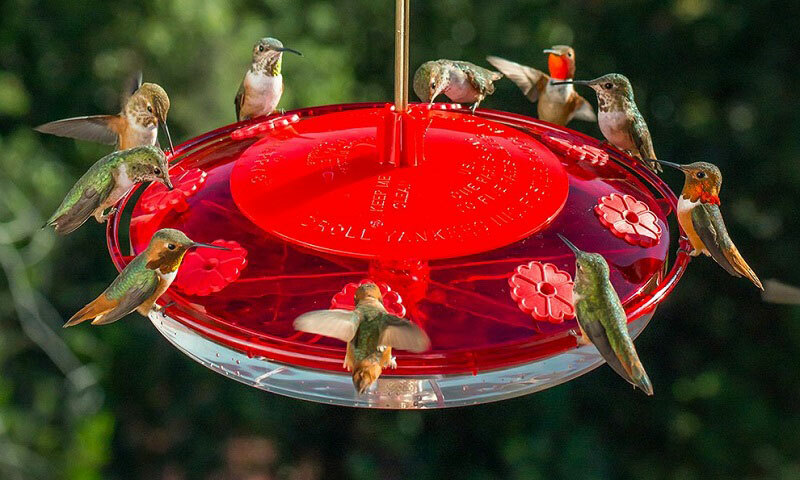 You can actually invest in a bird feeder, which already comes with built-in wire cages. Alternatively, you can just put mesh into the feeder you are currently using. You can also put a bigger cage surrounding a feeding station that has a few feeders within the barrier. You can also dissuade squirrels from eating bird foods by ensuring that you serve the right one. For instance, you should start buying and serving foods that all squirrels are not fond of eating. 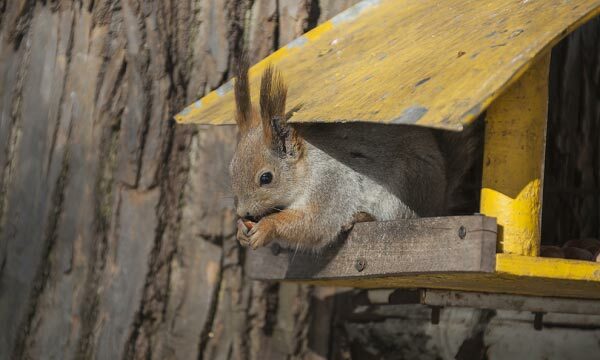 Among the bird foods that squirrels do not love eating are Nyjer seeds, canary seeds, safflower, canola seeds, and millet. You should also consider adding some capsicum or hot pepper into the bird food or seed. What is good about capsicum is that it can be considered as a non-toxic ingredient, which offers an assurance that it will not kill nor harm the birds in any way. However, you should avoid mixing powdered hot pepper into the foods. It is because this variety is unnatural to birds. If blown by the wind, this might also cause temporary eye discomfort. The best substitutes or alternatives for the powdered version are hot pepper seeds, cracked or whole hot peppercorns, coarsely ground hot pepper, and hot pepper flakes. 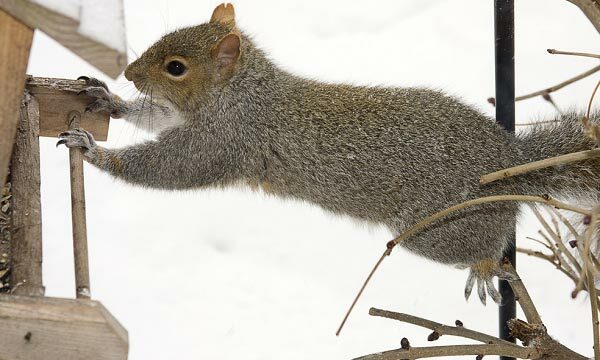 One of the things that squirrels can do is scaling wooden posts as well as the majority of metal poles. You should, therefore, make this act more challenging and tougher for them to do. It is possible by covering the post with a slippery object, like a PVC people or stainless steel stove pipe. What you have to do is to get a stovepipe or PVC pipe, which is a few inches wider compared to your post. Your goal is to ensure that there is adequate room so the squirrels can crawl between the people and post. You should then screw or glue the pipe cap into it. The next thing to do is to cut a hole, which is big enough for the post at the cap’s central part. Slip it on top of the post while ensuring that its open end is facing down. The topmost part needs to be around four feet over the ground at a minimum. If you follow the mentioned steps, then you can expect the squirrel to be forced to come within the pipe when it starts climbing the post. This will cause the squirrel to hit a dead end once it reaches the cap. In case you have to replace bird feeders already destroyed by squirrels, you should consider getting specially designed or made ones. Your choices include those that feature hatches or doors designed in a way that they will close automatically once they detect the weight of the squirrel. 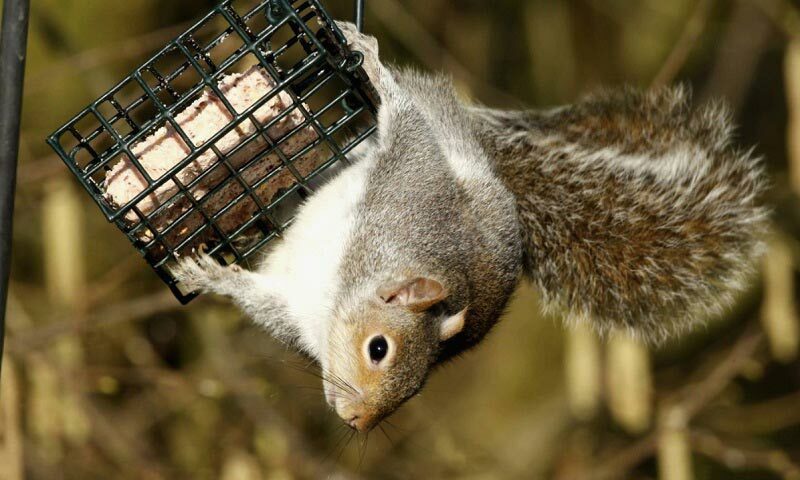 What is good about these specially made feeders is that they can limit the access of the squirrels to the seed. However, lighter birds will not cause the automatic closing of the hatches, giving them access to the feeder and allowing them to still feed without any hassle. 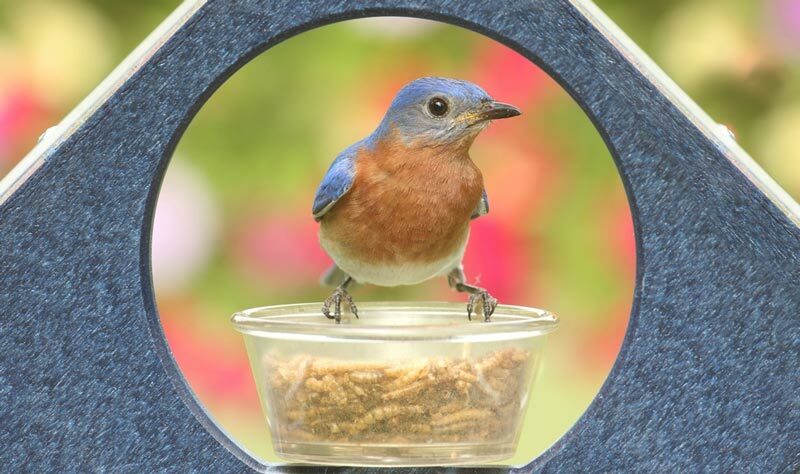 As an alternative, you can also invest in a metal-based bird feeder. 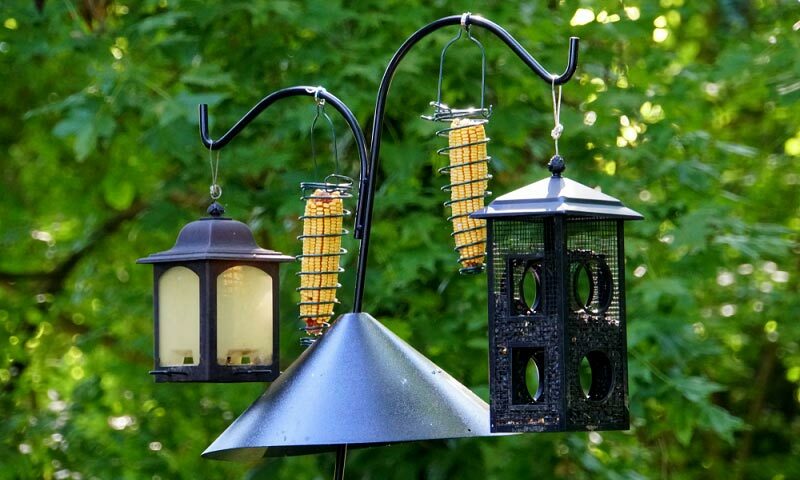 You may also choose those feeders designed using sturdy and thick materials, those that squirrels will have a hard time damaging or destroying. While it is a bit challenging to determine how to prevent squirrels from eating bird food, you can still do it with proper guidance. Just make sure that your chosen solutions are not meant to hurt nor kill the squirrels. 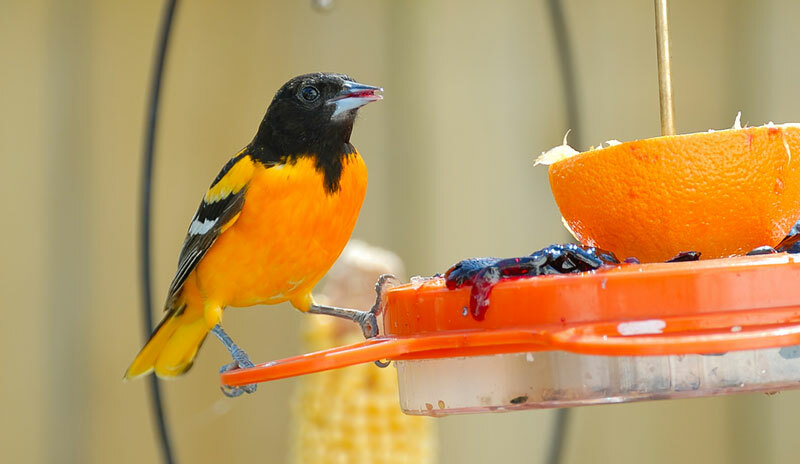 Your goal should only be to prevent them from coming into your bird feeders, and not hurt them along the process as they are still living things that need to be taken cared of.